Laughter and chatter echoed through the campus of Indian Spring Middle School, where students were eagerly reading and discussing books. They hunched over paperbacks that sparked their interest, learning about inspiring people of color who succeeded despite stigmas. But school was not in session. These 60-plus students voluntarily spent seven weeks of their summer at Baylor Freedom School, a summer literacy enrichment program. 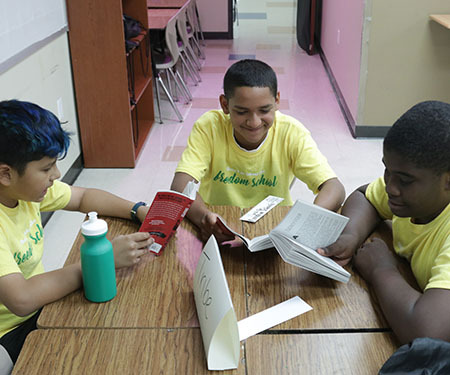 Now in its second year, the Baylor program aims to prevent summer learning loss by exposing the students — called "scholars"— to three reading texts daily and encouraging the discussion of civic issues. 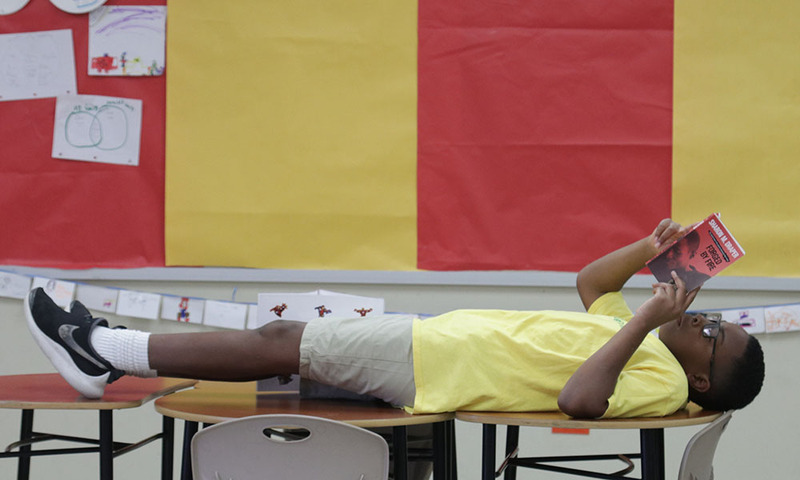 During the summer, students can lose up to six months of what they've learned, said Dr. Lakia Scott, assistant professor and Baylor Freedom School's founder and executive director.So keeping students engaged and empowered is her main goal. "A lot of problems that we see in larger urban school districts are happening here in Waco" Scott said. "I saw an opportunity to implement the Freedom School model to help combat summer learning loss and build literacy skills for marginalized populations of students." Freedom School, a nationwide program of the Children's Defense Fund (CDF), is rooted in history. Originating in the 1960s Civil Rights Movement, the program now stretches across 24 states, serving nearly 160,000 children every summer. Of the 66 students who completed the Baylor program, 97 percent previously attended schools with a majority population of students who are eligible for free- or reduced-lunch programming. The majority of students, 68 percent, were Hispanic, while 26 percent of the students were African American, and 6 percent were Caucasian. 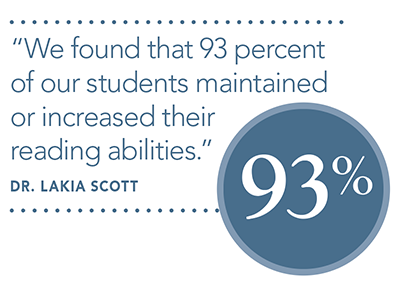 ""We found that 93 percent of our students maintained or increased their reading abilities," Scott said. "It's powerful work. We also administered a public version of the standardized assessment for the district, and we found that about 50 percent of the students either maintained their scores or increased their scores. Now we have two different types of data that prove this program was effective for students in reducing summer learning loss." Surveys also showed students felt inspired, believed they could make a difference in the world, and generally enjoyed reading more after a summer of field trips, games, and reading books with their peers. Parents also expressed their belief in the value of the program, Scott said. Erica Fleming, an SOE master's student who served as the site coordinator, said the program's structure encourages a different kind of rapport with students. 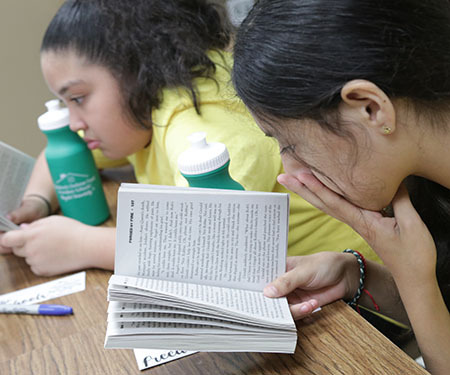 "Both teachers and students are less stressed and get to read books that are culturally relevant that they usually don't see in their own schools," she said. "The books are about kids like them, with characters experiencing things they also experience." 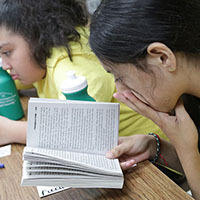 Scott hopes to increase the number of participants each summer, find a way to involve elementary students, and most of all, keep the kids reading.